Question: Sir, you said that you were unemployed for around eight months after you resigned from the Independent. So, does this mean there is no job security in the field of journalism? Answer: No. absolutely not. Well, if you do want a job security why don’t you join LIC instead? It wasn’t the student’s fault to ask that question. Little did he know he was talking to Vinod Mehta, editor of the Outlook magazine. Yes indeed, that is what Vinod Mehta is. A witty, in-your-face, spontaneous and intelligent person. But at the same time he will sit back and take a minute off, think and then answer a question. Though he gives fire and energy with every answer, he still insists that there are a few questions which need time and can’t be just buttered out. A man who in one of his letters to his readers in the magazine said that he wouldn’t take offence on anything the readers spoke about him unless they spared his wife, paternity and his dog whom he calls-Editor, he would be a happy man. He has a clear cut policy-believe in the truth and bring it out. He also says that journalism is about commercialization because journalists are out there not to be Public Service Announcers but they are there to do their job. Printing a paper or a magazine, or even broadcasting a television show or a radio show has its own costs and if a journalist is working towards earning that cost it isn’t a bad deal. But having said this, he explains why he says that. He isn’t supporting paid news or fake news or even asking reporters to take bribes. All he says is that journalists need to understand their sticking to ethics is good but if it hurdles in getting the truth out, then they must try methods not so conventional, in bringing out the truth. Still, he insists to keep ‘that’ money away. He adds being friends with politicians isn’t really a very good idea. Being a critic is important and when a journalist is a friend to a politician or a celebrity, he/she cannot be a critic. Having mock tails at a party, lunch or dinners with celebs and politicians is good, but being too close and sharing personal information or sharing an emotional bond with these people can cost a little too much to a journalist’s profession. That is because he/she cannot freely criticize them. So maintaining a good distance and keeping an official contact to get the truth out is important. He is not a non-supporter of ethics but he says if Wikileaks had chosen Outlook instead of The Hindu, he would give out his right arm and gladly support them. By this he meant, stick to your ethics but work hard towards getting the truth out. At the end of the day, bringing the truth out to people is more important than anything else. Protection of source is vital and to an extent mandatory. He is against the concept of revealing his source because he honestly and openly believes that if he lets out his sources’ name, he is losing him/her forever. So, he says even if he had to go through the worse, he wouldn’t mind it but he would never reveal his source. I do not normally choose to write about people in my blog, but here I am doing it. There is a reason behind it. 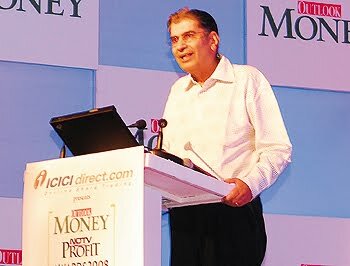 Vinod Mehta is a man who is not a preacher, not a pretender. He tells you to wake up, look at the truth and the reality. Preaching about ethics, saying that a certain institution (here even a media organization), is not exchanging money under the table or indulging in corruption or even being exclusive for a piece of news is false and an ideal situation which is good in theory. What is important is being right and if you are wrong, accepting that you are wrong. He will bring the right thing and give it to you in your face. He will not beat around the bush or pretend to know something. He is what he is. And without a doubt I am in complete awe of the man.